Look around. In this day and age of smart phones, apps and texting, people have become dependent upon a “wired” lifestyle for everything from news to socializing and keeping current, but there is an easier way to be happy, according to the 2013 Garden Trends Report. In its 12th annual Garden Trends Report, Garden Media Group spots a positive trend revealing that growing numbers of people are searching for ways to be happy. They’re re-evaluating values and priorities, re-defining “happiness”, and re-considering how gardening and caring for Mother Nature bring joy and satisfaction. “People today want to find bliss in everyday life. Being in nature – either in a garden or park or filling your home with indoor plants - adds immeasurable happiness and wellness to our lives. 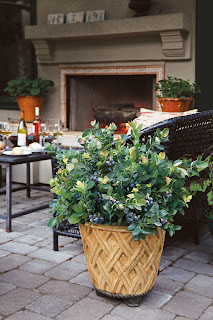 Connecting with nature is a necessity, not a luxury,” says garden trendspotter Susan McCoy, president of Garden Media. Global trends expert Li Edelkoort, agrees. When looking at the future of fashion and home décor, she explains the ‘Year of Bliss’ takes its cue from nature, finding expression in bright colors, nature inspired products and tactile experiences. She notes as a society we’re slowing down, seeking authenticity and well being, and tuning into “now”. Looking Ahead. Garden Media sees 12 influences or “forces of nature” shaping choices in home, garden and landscape design: Lifestyle, Wellness, eCono, Color, Natural, Ground, Air, Aqua, Light, Inner, Micro and Shared Forces. From re-suburbia and collaborative living to foraging in backyards with easy pickins’, people want better health and wellness, colors that brighten their lives, practical ways to reduce their “waterprint”, and the simple pleasure that growing plants for food brings. Garden Media will flesh out these 12 trends in a thought provoking three part series in the upcoming months. 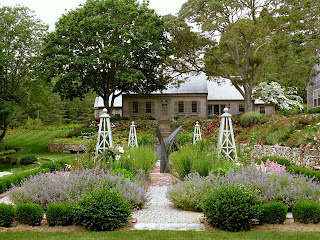 For the curious, you can view the complete Garden Media trends report, at www.gardenmediagroup.com.